August 8. 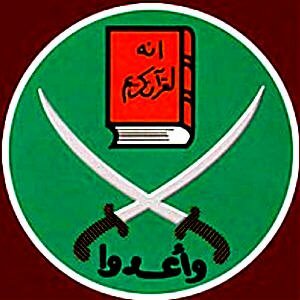 Muslim Brotherhood supporters around the world are still in shock after a military coup in Egypt ousted the first Muslim Brotherhood president of the largest Arab country. One month after the group’s brief political experience in governance was brought to an end, the Brotherhood’s leadership and base have still not awoken from their stupor. Al-Monitor obtained a copy of the group’s first internal analysis document, which the Brotherhood began to circulate in recent days. The document was written by 75-year-old Mohammed Ahmed Rashed, an Iraqi national who is considered the group’s top planner and theorist. Although he occupies no official post in the organization, Brotherhood members place him alongside Sheikh Yusuf al-Qaradawi, the Brotherhood’s spiritual father and reference. Rashed is also perhaps on par with Mohammed Badie, the organization’s supreme guide. Causes and consequences Rashed has put together an organizational document titled The Return from Freedom. The document is 37 pages long and divided into three sections: identifying the parties involved in the coup; the Muslim Brotherhood’s role in overcoming this historic ordeal; and, a list of the most important benefits that may be gleaned from the current situation, despite its difficulty. Rashed accuses the United States of supporting the coup to frustrate Islamic ambitions by using the Egyptian army. He points to the involvement of a number of Egyptian leaders in the coup, such as Mohamed ElBaradei and Hamdeen Sabahi, who have strong relationships with the United States and are an important part of its plans in the Middle East.